– The Eight-Man Tag between NEVER Openweight Champion Hirooki Goto/YOSHI-HASHI/Gedo/Jado and Minoru Suzuki/Davey Boy Smith Jr./El Desperado/TAKA Michinoku featured some early hype for the upcoming New Japan Cup, a 16-man tournament where the winner could challenge for any belt of his choosing. Suzuki was set to battle British Heavyweight Champion Katsuyori Shibata in the first round. We also knew that Goto wouldn’t be in the tournament because he was already NEVER Openweight Champion. Suzuki-gun wiped out their opponents before the bell in their classic ambush style. They dominated things early on. Goto had some rub from the hot tag by Jado. Golden exchange between Suzuki and Goto. Can this be a singles match one day? Suzuki looked the best in the ring throughout. In the end, YH made Michinoku tap out, which continued his own hot streak. It was something to be considered an upset. – The 10-Man Tag between Togi Makabe/Yuji Nagata/Jyushin Thunder Liger/Tiger Mask/David Finlay and Kenny Omega/Bad Luck Fale/Yujiro Takahashi/Tama Tonga/Tanga Roa saw some early entertainment with Bullet Club’s entrance, which saw Omega give many fans the “too sweet” and Callis played a BC ally. Interesting aspect that Omega would keep his shirt on, which was noted that it wasn’t perceived to be a big bout. There was a brief funny moment where he held on to Takahashi’s cane from the outside to choke his opponent. He smiled at the camera and yelled, “Look, I’m cheating!” and that was about right. Omega’s first round opponent in the NJ Cup would be Tomhiro Ishii, one half of the IWGP Tag Team Champions. This would begin on Mar. 11. TM did a top rope arm drag onto Loa. Nagata carried momentum with his hot tag. Omega literally body slammed his partners onto Finlay, which led to a tease for a Fale bodyslam. Instead, Fale fell on top of Omega. After the shenanigans, Fale got the pin with a lariat on Finlay. That was also about right. – The IWGP Junior Tag Team Championship match between Champions Roppongi Vice and Yoshinobu Kanemaru/Taichi began with Taichi’s odd entrance complete with an unplugged microphone karaoke. Of course, Kanemaru/Desperado attacked the Champs in the aisle way. The young lady at ringside played a role early on, as she blocked RPG from stereo dives and even slapped poor Rocky Romero in the face. They did the stereo dives once Beretta got in. Close call when Taichi hit both men with the belt. A DDT off the top crowned new Champions. Well, that was strategic from the start. Gado/Jedo saved their CHAOS brethren from a further beatdown. – The British Heavyweight Championship match between Champion Katsuyori Shibata and Zack Sabre Jr. sounded like a hard-hitting technical masterpiece. Safe to say we eagerly awaited this one. They’ve battled before in Rev Pro in the United Kingdom, so they were quite familiar with each other. They even fought on a previous NJPW show, which was how Shibata won the Title. This just can’t be bad. It’s literally impossible. Excellent start as it almost looked like they were breakdancing around each other. Shibata spun out of an ankle lock on his head almost. ZSJ stepped out of a double-armed headlock and took Shibata’s arm and twisted it like a pretzel with his knees to target the shoulder. He then put on an awfully uncomfortable armbar. They dueled running kicks. Holy crap. Shibata kicked out of an extended bridge and locked in his own submission. This is great stuff. Suzuki tried to interfere, but got kicked off the apron as the Ref was knocked down. Shibata got the Gotch Piledriver as ZSJ hit the Penalty Kick and we got a new Champ. Apparently, he also joined Suzuki-gun. That was a shock. It also builds for the Suzuki-Shibata First Round Cup match. Two Championships won by SG. We certainly like all these momentum shifts between the factions as the shows go on. – The IWGP Tag Team Championship match between Champions Toru Yano/Tomohiro Ishii and Hiroyoshi Tenzan/Satoshi Kojima began with Yano’s usual rule-breaking comedy antics in the ropes to force a break before Ishii/Kojima dueled strikes for almost 20 seconds straight before Ishii fell down. Yano pulled off the padding and whipped his opponents in the corner at least three times. A couple of decent near-falls down the stretch though things got a little sloppy. The Western Lariat on Yanu ended the match and we had new Champions for the third time in the show, another loss for CHAOS. Tenzan/Kojima became the 74th team to hold the IWGP Tag Team Championships. Things picked up truly in the match once a tribute move to the injured Tomoaki Honma was excited, as the crowd got behind the challengers. 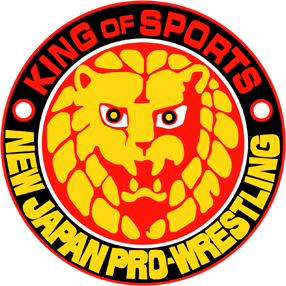 – The Eight-Man Tag between Hiroshi Tanahashi/Michael Elgin/Juice Robinson/KUSHIDA and IWGP Intercontinental Champion Tetsuya Naito/SANADA/EVIL/BUSHI was a precursor of things to come for the NJ Cup, as three of the four members on the face side would compete. Naito did his classic trolling as he tossed his belt behind him, pulled the Ref out of the ring and broke Japanese Commentator Milano Collection AT’s monitor. Tanahashi and EVIL would also compete in the First Round. They took to the outside to begin. SANADA leaped in the air and came down on an Elgin powerslam. Naito won with the Destino on Robinson. Post-match, he beat down Robinson, which drew Tanahashi into the ring. EVIL caught him in a submission hold, while KUSHIDA and BUSHI fought outside. It was a decisive victory for Los Ingobernables de Japon. – The iWGP Junior Heavyweight Championship match between “The Funky Weapon” Ryusuke Taguchi and Champion “Ticking Time Bomb” Hiromu Takahashi was well-hyped over the last few shows. Taguchi also had a new haircut. He used Takahashi’s coat to draw him in with a sweeping leg kick. Takahashi hit a sick dropkick from off the apron the sent Taguchi into the barricade. Good match as it went on, as it was likened to a “generational battle” by Commentator Kevin Kelly. We can totally see that. The two countered back and forth with ankle locks. Close near-falls. Taguchi spun into his ankle lock again when he appeared to be fading away. He moved into an armbar and went back to the ankles with some twists, as Takahashi slapped the mat twice to position himself towards the ropes. This was slowly becoming match of the night. Taguchi wiped out Takahashi with a lariat. Three superkicks and a lariat by Takahashi for two. Takahashi next went to his finisher to get the win. What a match. Post-match, Takahashi got on the mic and we guess called out KUSHIDA? He came out and made it known he wanted to challenge him. That should be a fun next chapter. – The main event between IWGP Heavyweight Champion Kazuchika Okada and Tiger Mask W was unique enough to sell us, but thankfully, it wasn’t for the Championship. It’d be hard to buy that at the moment. Okada broke out a pretty dropkick over the barricade. TMW hit a beautiful top rope moonsault to the floor. Back and forth pace, but it makes sense for this to be the main event since Okada would presumably look good before the NJ Cup gets underway, as he’s the primary focus of the combatants. Our thing is though, yes, we get the whole tradition of the Cup, but why compete against 15 other guys to get a shot when Okada seems to defend the belt on other every other show against someone random? Couldn’t they just wait their turn? Anyways, to the action – TMW did a powerslam followed by a quick moonsault for a two. Okada began to scream at TMW, which drew a rise out of him. TMW hit some closed fists with the Ref down and kicked his head. Tiger Bomb for a closer two. Okada caught TM on the top rope and shifted to a Super Tombstone position. Luckily, TMW escaped and countered with a pele kick. Super Tiger Bomb for another close two. Hot damn, that was awesome. Okada nailed the Rainmaker but couldn’t capitalize. He held onto the wrist and hit a second. A third one was unsuccessful, as TMW landed another pele kick. The third one finally connected and that was it. Guess it’s always the matches you don’t expect, huh? Certainly didn’t expect that much drama given it was TMW, though we know how awesome Kota Ibushi is, so there was always a chance it’d be great. Posted on January 27, 2018, in NJPW English and tagged Bad Luck Fale, Bushi, Davey Boy Smith Jr., David Finlay, Don Callis, El Desperado, Evil, Gedo, Hiromu Takahashi, Hirooki Goto, Hiroshi Tanahashi, Hiroyoshi Tenzan, Jado, Juice Robinson, Jyushin Thunder Liger, Katsuyori Shibata, Kazuchika Okada, Kenny Omega, Kevin Kelly, Kushida, Manabu Nakanishi, Michael Elgin, Minoru Suzuki, New Japan Pro-Wrestling, Roppongi Vice, Ryusuke Taguchi, Sanada, Satoshi Kojima, Taichi, Taka Michinoku, Tama Tonga, Tanga Roa, Tetsuya Naito, Tiger Mask, Tiger Mask W, Togi Makabe, Tomohiro Ishii, Tomoyuki Oka, Toru Yano, Yoshi Hashi, Yoshinobu Kanemaru, Yuji Nagata, Yujiro Takahashi, Zack Sabre Jr.. Bookmark the permalink. 1 Comment.